Are you A true Michael Crawford fan? I made this because I couldnt find a Michael Crawford fan quiz and it made me upset! I hope you enjoy this quiz and i hope you do well on it! Please listen to Michael Crawfords songs while taking this! Have you ever wanted to take an are you a true Michael Crawford fan quiz but you couldnt find one? Well, here you go! Please try your best and I hope you enjoy it! Lets start easy, when is his birthday? Do you own any of his CDs? Yes, I own all of them. Yes, I own most of them. Yes, I own some of them. No, but I want to own them. No, but I have a Michael Crawford playlist on my device. Have you ever watched Some Mothers Do ave em? Yes, most of the episodes. What award did he win for best actor in a musical? He has what kind accent? Who was he in Phantom of the Opera? He did all of his own stunts in Some Mothers. On a scale from 1-10, how soothing is his voice? How fluffy is his hair? Which of the following describes you as a Michael Crawford fan? I would literally DIE for Michael Crawford. I think Michael Crawford is a talented person. I enjoy Michael Crawfords voice. How often do you pray to the lord Crawford? Does Michael Crawford sing you to sleep every night? Yes, he is the only reason why I actually sleep at night. 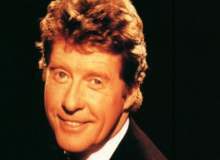 Michael Crawford asks you to marry him. Quiz topic: Am I A true Michael Crawford fan?